Thank you for your post 🙂 Aajkei try korbo..
what kind of recipe do you want? 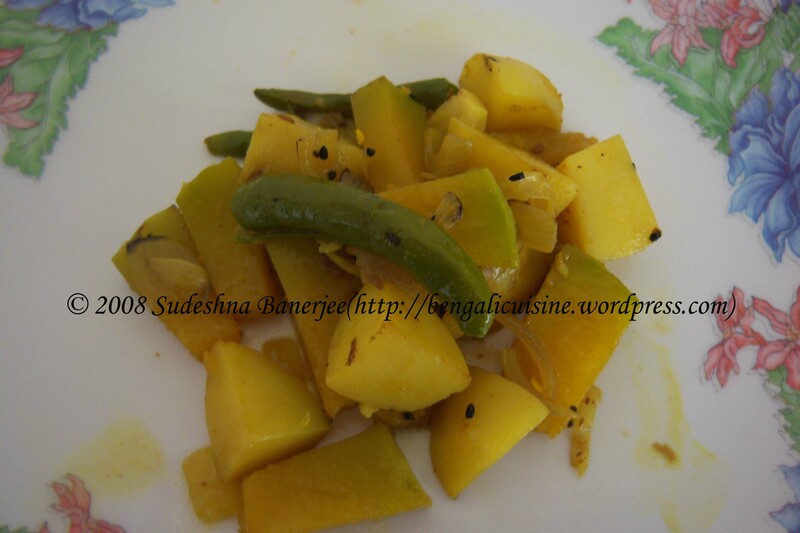 For starters there is bhaat bhaja or fried rice where you can use carrots. You can also use it in shukto or put some in khichudi. For dessert there is always gajar ka halwa. If you need any more recipes let me know. 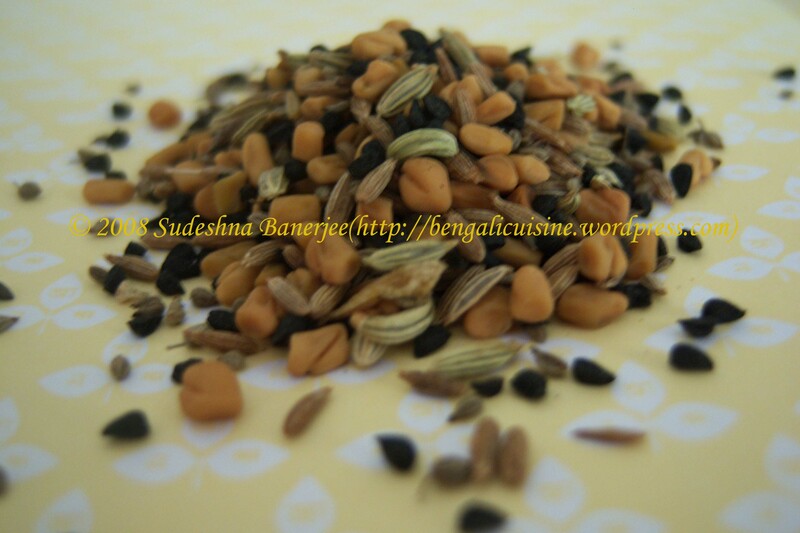 This site is really very nice,where i stay in bangalore i get pachphoron.or i make it own..kalajira ,methi,jeera,mouri, and mix them,.am i r8 sudeshna? Yes, you are very right, Payal. Just add mustard (kalo sarse) and/or radhuni with the other four spices. This site is very helpful, I have become a regular visitor. 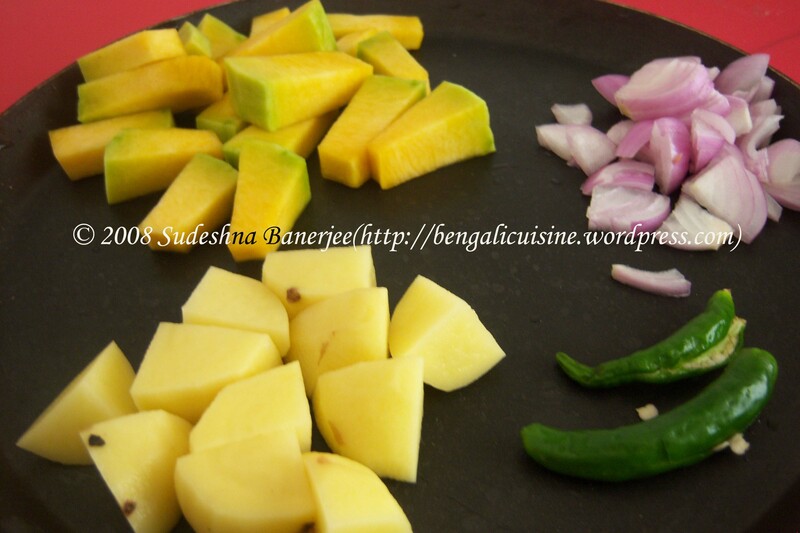 I use to ask the bengali preparations from my mother over phone but nowadays I just open your site. Thanks. I have made the panch phoron at home by mixing all the spices. Thanks for the encouraging words, Chhanda. great recipe. i love the kumro and alu combination. amazingly we get panch phoron in zurich switzerland. Oh, this is a great news, becase I never got it in Bangalore, had to prepare it myself mixing up the spices. Wish you a great new year. You can buy the five spices anywhere in Bangalore, check out Spencers/ Nilgiris or any big grocery store near to your place. I don’t think you can get the panch phoron as it is, you have to buy the spices and mix it by yourself. That’s how I do it.